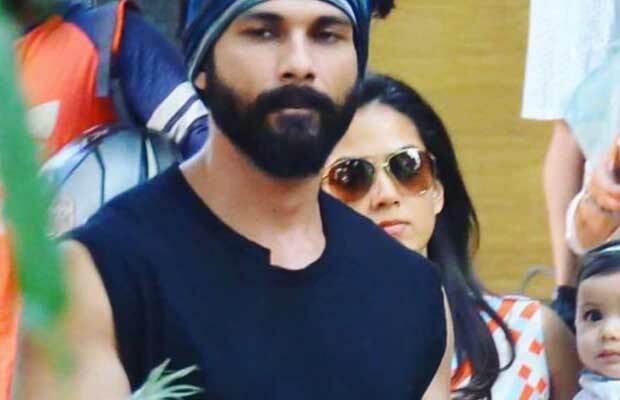 Home BOLLYWOOD Unseen Photos: Shahid Kapoor’s Daughter Misha Looks So Much Like Mira! Bollywood couple Shahid Kapoor and Mira Rajput’s daughter Misha is one of the cutest kids in the industry. Every time when the actor shares a photo or video of Misha, the Internet goes gaga over the little munchkin. Shahid and Mira are often seen making public appearances. However, their adorable kid Misha steals all the limelight. We guess Misha has already made a fan following for herself! Misha looks so adorable in these photos. She looks so much like her mother Mira Rajput Kapoor. But definitely has taken some features from daddy Shahid Kapoor. What do you think? On the work front, Shahid was last seen with Saif Ali Khan and Kangana Ranaut in Vishal Bhardwaj’s Rangoon. He is currently gearing up for Padmavati with Deepika Padukone and Ranveer Singh. • Cutie pie Mishu! ?? • Sucha dotting father! ? Previous articleDon’t Miss Shah Rukh Khan’s Epic Reaction If He Caught Son Aryan Khan Kissing A Girl! Next articleMubarakan Trailer: Catch Double Fun And Madness With Arjun Kapoor’s CRAZIEST Family!